President Trump begins his tax reform roadshow this week. 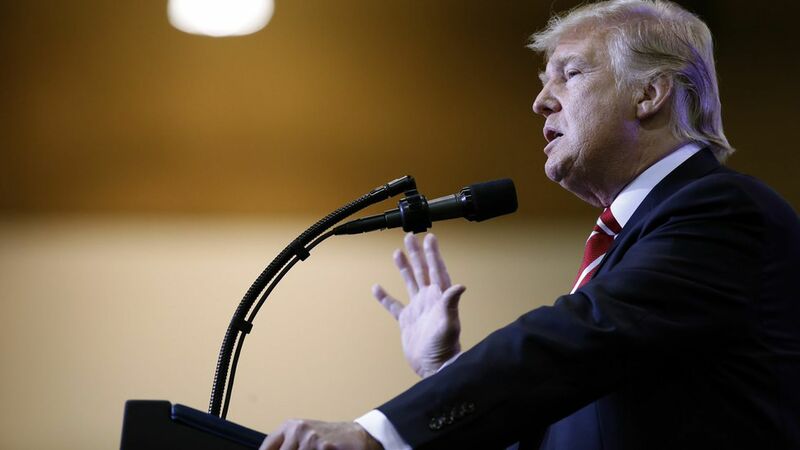 He'll give a speech in Springfield, Missouri, on Wednesday, pitching the need to overhaul the tax code and bring down rates for middle America. It's Trump's first outing of what his staff expects will be a tax reform sales tour covering the Rust Belt and other legislatively important states. The reason Trump starts in Missouri: It has symbolic resonance and legislative importance. A White House official told me Trump is likely to mention in his speech that Springfield is the birthplace of Route 66 — crucial to the American economy and a symbol of "America's Main Street." Trump is also very popular in Missouri and the White House views the state's Democratic Sen. Claire McCaskill, who's up for re-election in 2018, as a senator worth pressuring to support the GOP-led tax reform efforts. Between the lines: The White House and Republican leaders on the Hill plan to pass tax reform using a budget bill that would require 50 votes in the Senate rather than the 60 needed to pass normal legislation and avoid the filibuster. It means they'll rely almost exclusively on Republicans, but expect them to try pick off a few Democrats, too. A senior administration official, referring to the recent failure to repeal the Affordable Care Act, told me, sarcastically: "It seems that relying on a strict party line vote has worked really well for us so far."